Contents: - 1 quality textured artboard 400 x 300mm- 1 brush- 10 quality acrylic paints- and full step by step instructions. 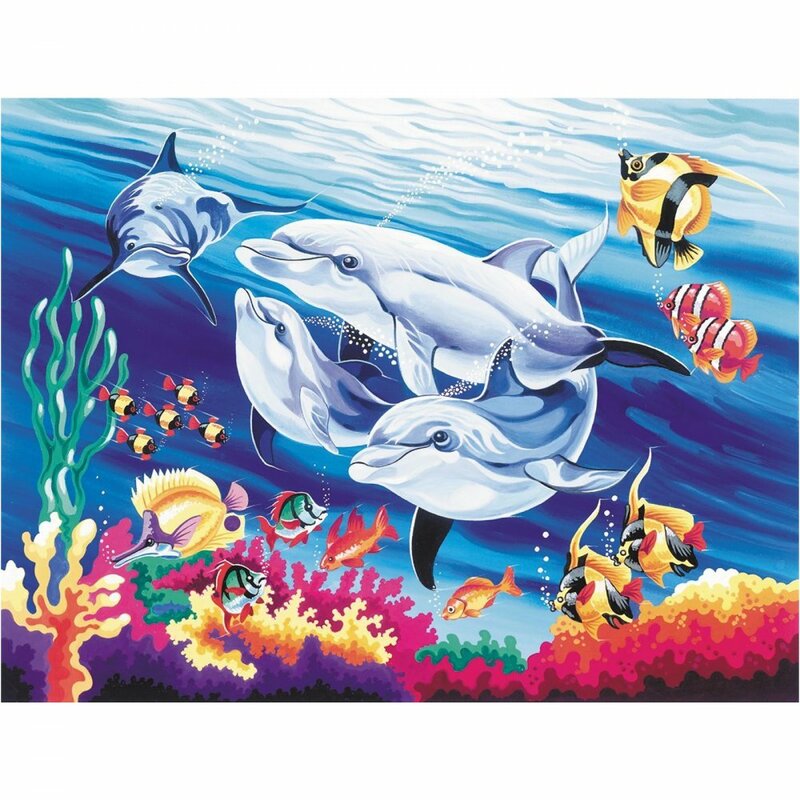 Showing 3 Reeves Senior Paint By Numbers Underwater Dolphins* reviews. Average rating of Excellent. Would you like to write a review? A very good relaxing paint by numbers. Lovely to paint and looks like the original when done. very enjoyable.